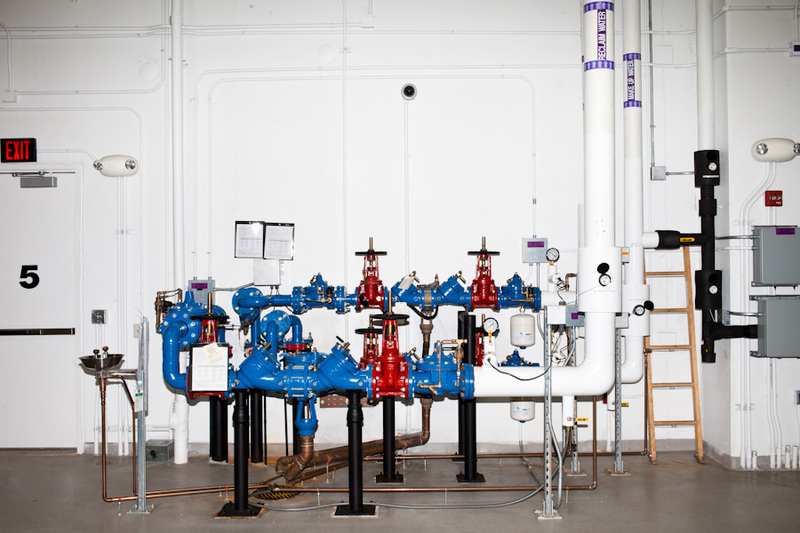 Pipes are seen in the water plant where water is chilled and pumped through the new Visa data center in order to keep equipment like the servers cool. 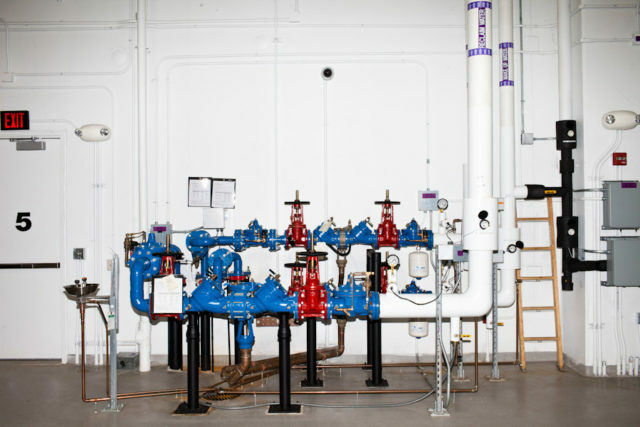 The facility boasts 376,000 square feet and is fully redundant. Posted on 11/16/2011 by Melissa Golden. This entry was posted in . Bookmark the permalink.